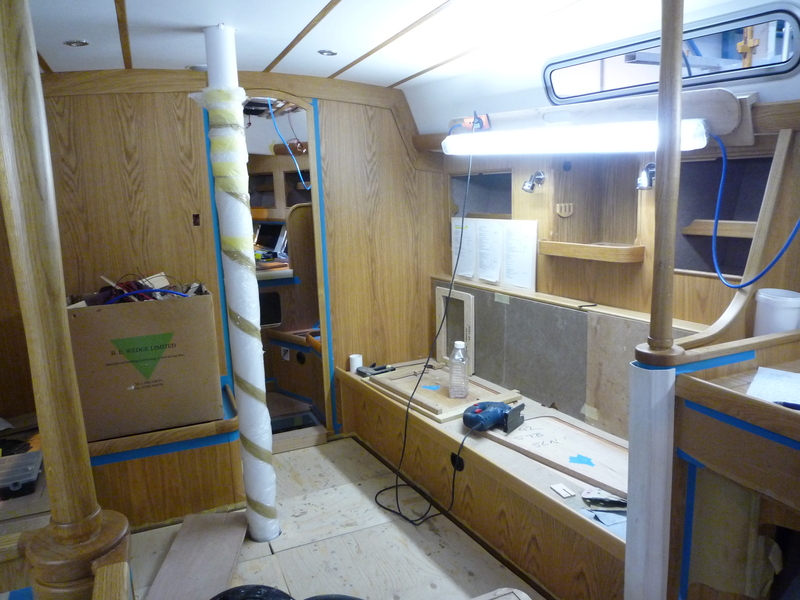 For the first time we can walk on the deck and go down the companionway – wow things have moved on at speed even though we saw her last month. John has made up a test mug rack and spice rack, which meant we were still able to tweek it a bit. Sue and Neil Hatton came to visit. Still no news on the screen – the curved screen seems to be giving everyone a headache. The CAD drawing of the housing had finally been produced and was now going to the Swedish manufacturer to get a quote. So having finally decided on a name, we had to register it on Part 1 Ships Register – it has to be a unique name. 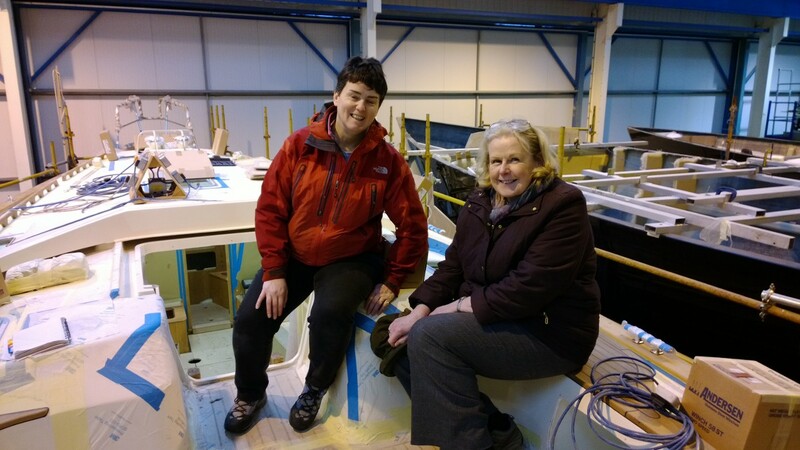 The paperwork went off at the end of Jan – I knew that there was one other boat which had the same name but it was a motorboat – so we were really hoping it wasn’t part 1 registered. We suddenly realized how attached to Carra we had become – so there was great relief and celebration when we received the mail from Nick saying that MCA had reserved the name Carra for us. Fab..
We had some friends over from the UK and they brought us a beautiful Log Book with Carra embossed on the cover. Thank you Jo, Liz and Jo – a very special present. We have sent off the font off to Nick – it has a Gaelic feel to it. The computers have played Chinese whispers between Finland and Falmouth and this is what the graphic company have sent back. 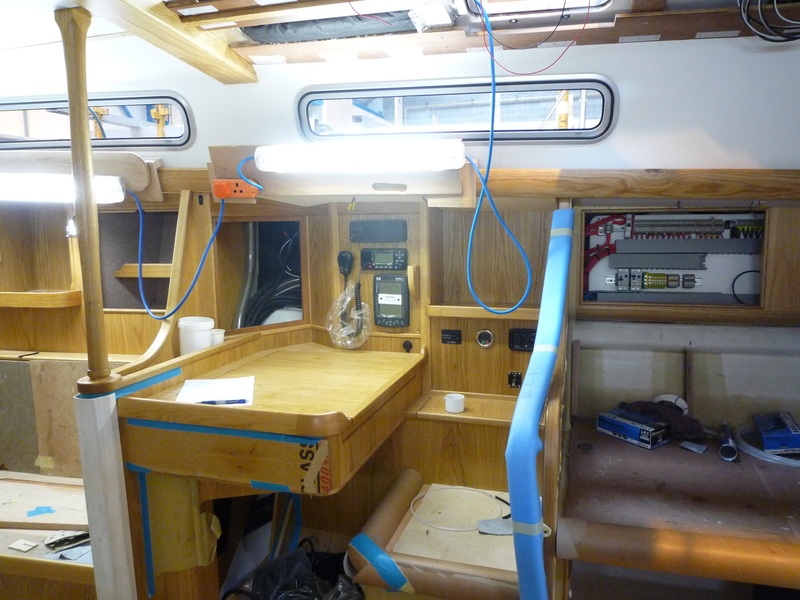 The price of the screen has come through – Eek curved is just too expensive so we have decided to go for the flat screen in stainless but have the steeper rake than they have done in the past. It has now earned the title of the blessed screen by Adrian….. I am sure Nick and Adrian have a less polite version. Flying visit from Mags on route to France to see her brother and family. Mags brought over some photos to show the angle of the rake for the “blessed screen”. 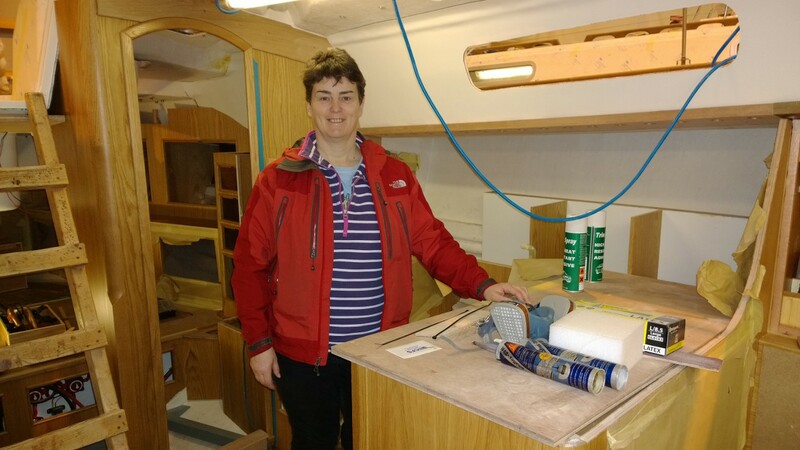 We had asked Nick if he could see if the liferaft would fit between the stern lockers – we thought it might ( obviously having measured it earlier) With some clever joinery from John it does and looks great. Rustler now think this will be the standard place for the liferaft. The floors are now down and it is all coming together. It turns out changing the angle in stainless will cost just as much as the curved screen – so with a sharp in take of breadth we decided to go for the curved screen. 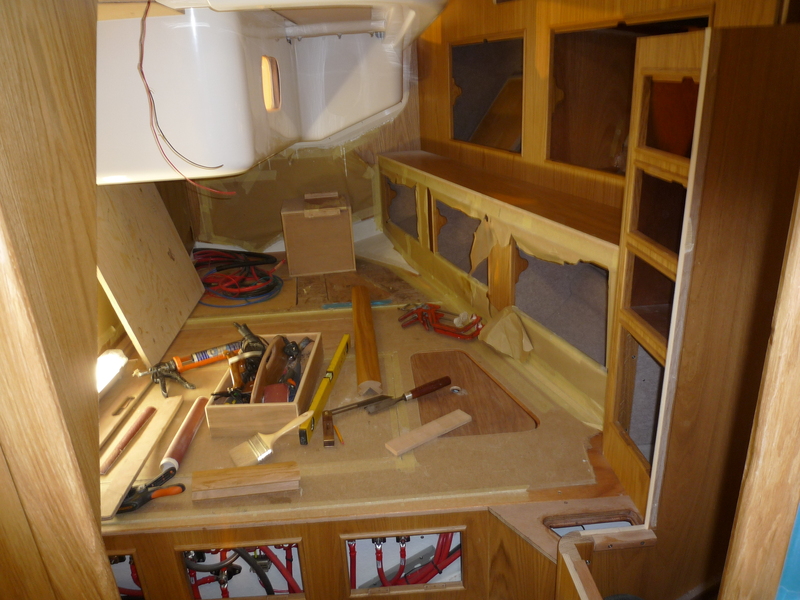 We received the pictures of the curved screen that John had mocked up in wood. 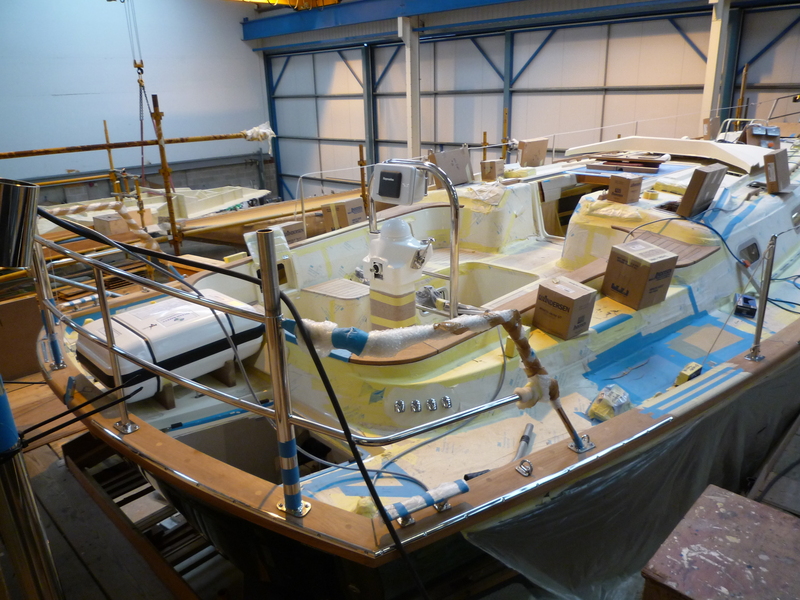 It looked very smart – no sooner had we received but the next day Nick came back with it would not be possible to make it as the deck had too many angles and planes and the local manufacturer in Southampton would not be able to manufacture it. 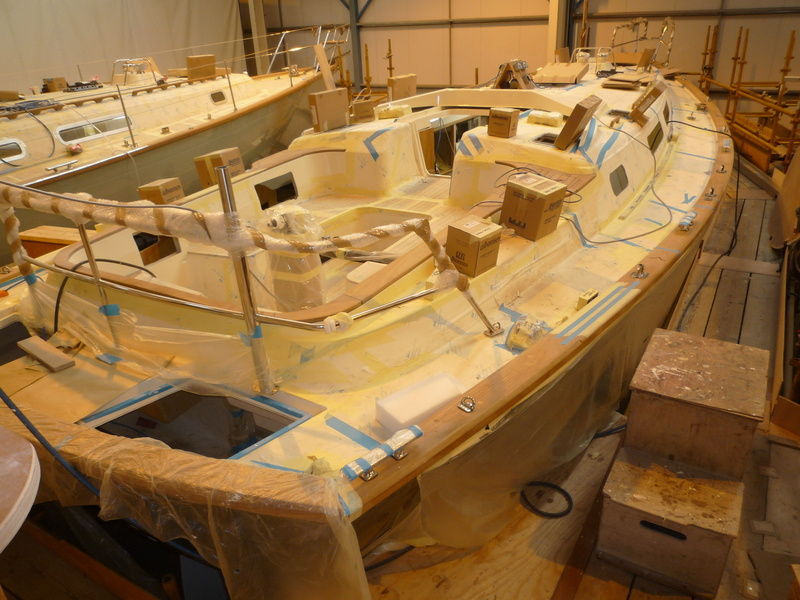 The 37 is being made with a flat curve on the deck so that it will be easy to fit one. So we have gone for a flat screen in aluminum with the same angle as the normal Rustler spray hood.